This is the deal: we only make this wine if we can be sure that the fermentation will be complete and the wine dry (under 5g/l residual sweetness). We usually use grapes originating from the Herrenweg area, or a vineyard just below the Clos Jebsal and certain parcels in the Brand (mostly younger vines). In 2012, as we only kept the old vines in Brand for the Grand Cru wine, this wine was made from 100% granitic Brand vines. Healthy grapes, perfect ripeness, good wild yeast: the wine finished dry with a great structure. 2/2014: the nose displays a fullness and mineral intensity rarely achieved in this wine. No doubt the pure granitic origin explains the minerality and wet stones character, not as strong when there are more valley floor vineyards blended into this wine. The wine feels very young and in need of ageing, but more air contact will allow superb fruits aromas to develop. The mid palate shows a wonderful bright richness, yet totally dry. 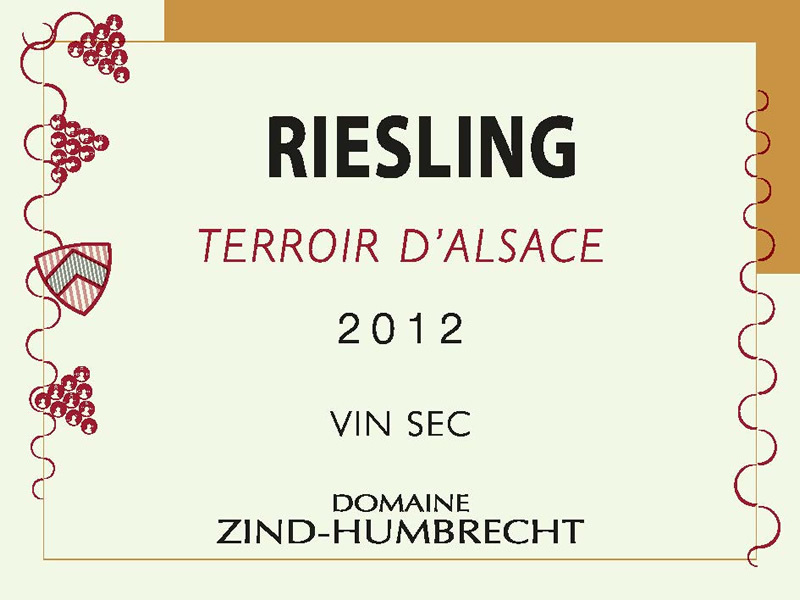 This is a fabulous dry Riesling with a crisp clean pure mineral finish.